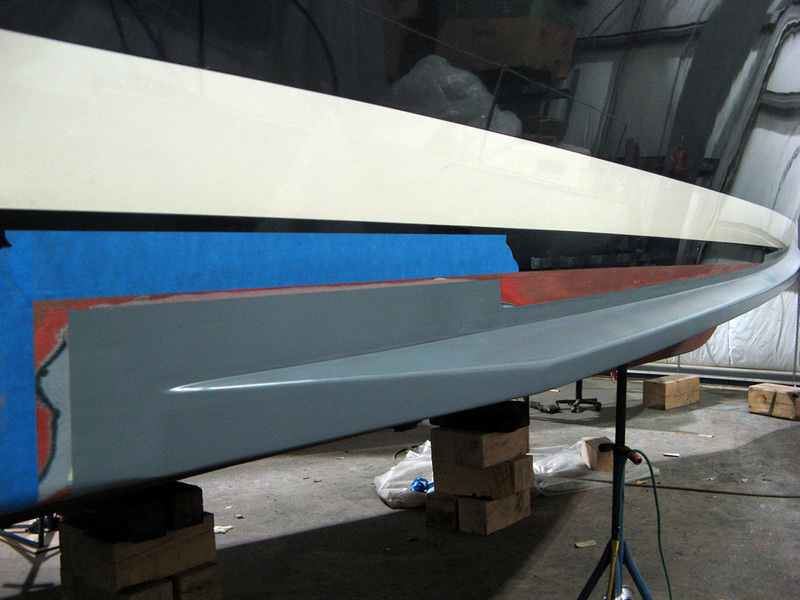 Custom designed and built spray rails. 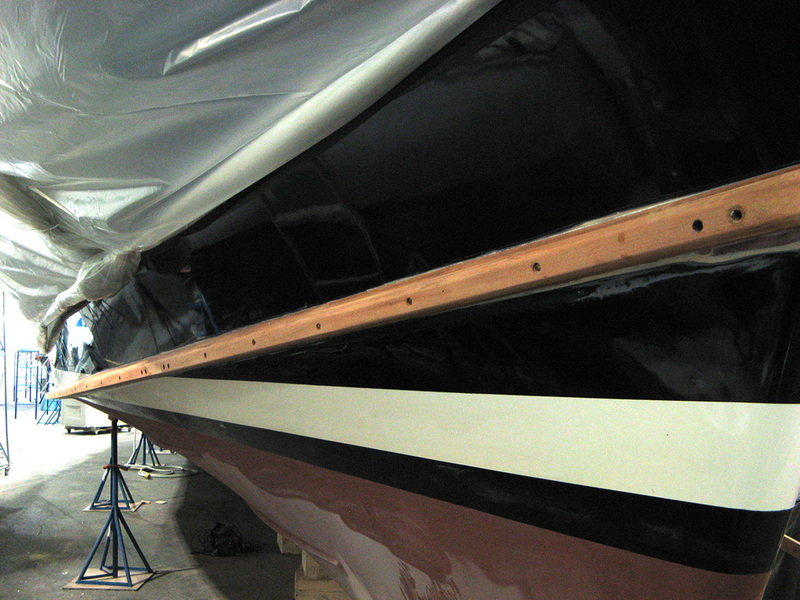 Mahogany rails were laminated to the boat, removed for fairing, and then epoxy glued and fastened to the boat. Spray rails finished and Awlgripped.